Time to dust up on the updated fashion rules ladies! 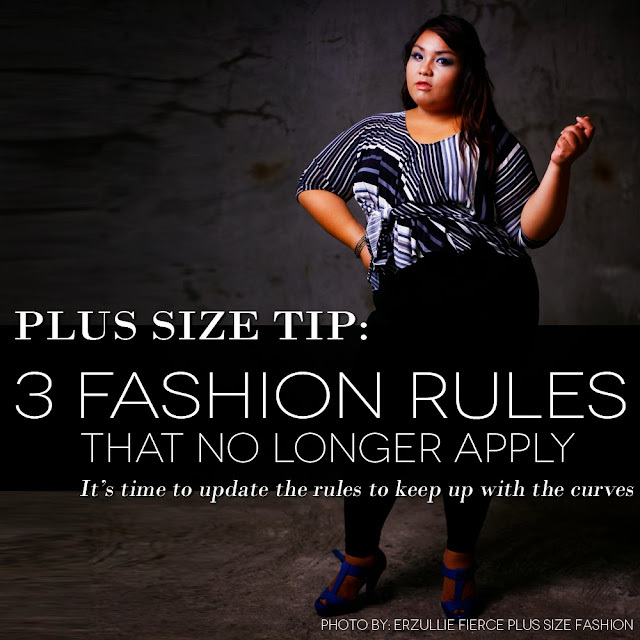 Here are 3 fashion/style rules that we think no longer apply for plus size ladies. Reason: It makes you look bigger and that’s wrong. Why it's outdated: There is nothing wrong with looking big. Fashion is about creating your own persona. We even see models nowadays wearing oversized everything and it looks chic. So what’s wrong with looking big? Nothing. So go on and use the stripes and prints! Yes, you can! Why it's outdated: Skinny jeans can actually support your curves, making them look firm, while maxi pants can streamline anyone's look. 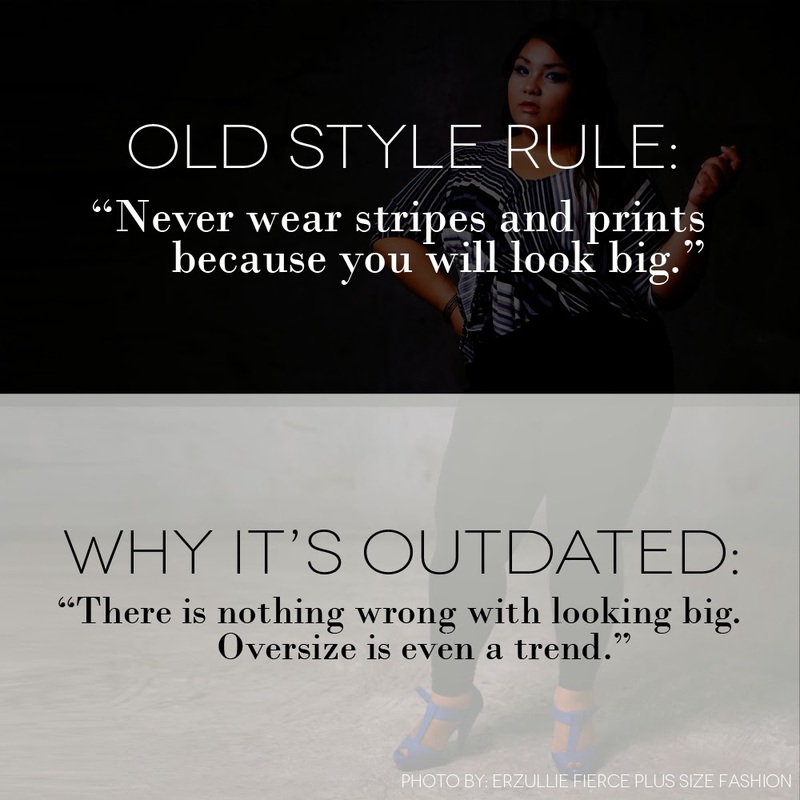 Think of how many styles you can wear right now if you just shut people off from your brain. You are free! 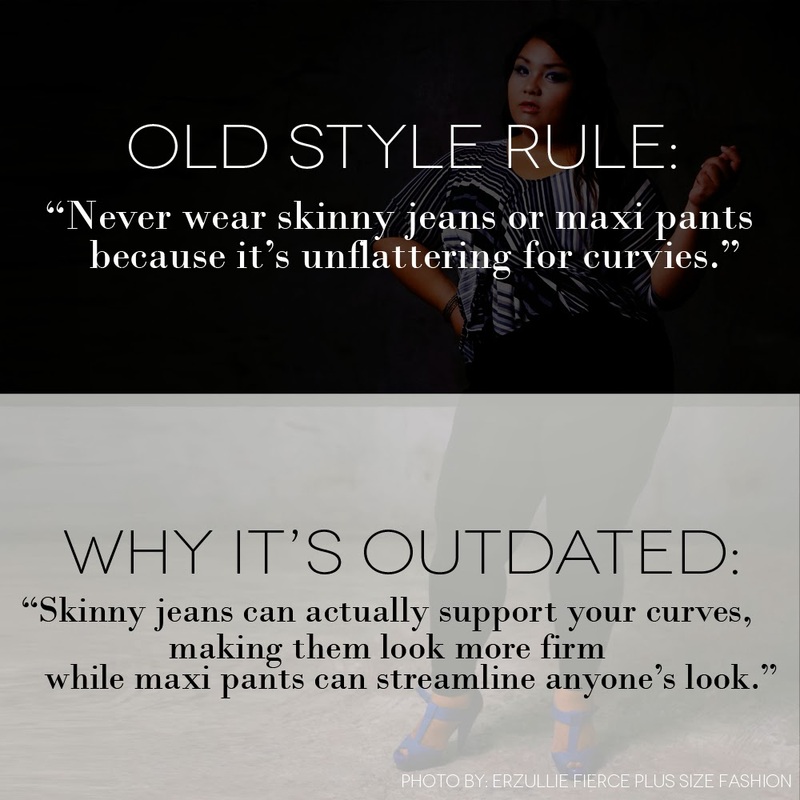 As such, you can work the skinny jeans/maxi pants if you want to. All you need to do is to find the confidence to wear them and blend it with your personal style. 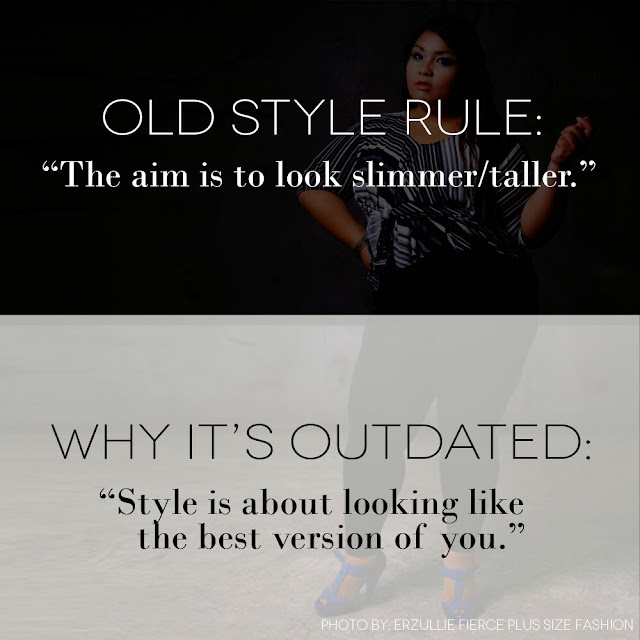 Reason: Looking slimmer/taller is beautiful/stylish. 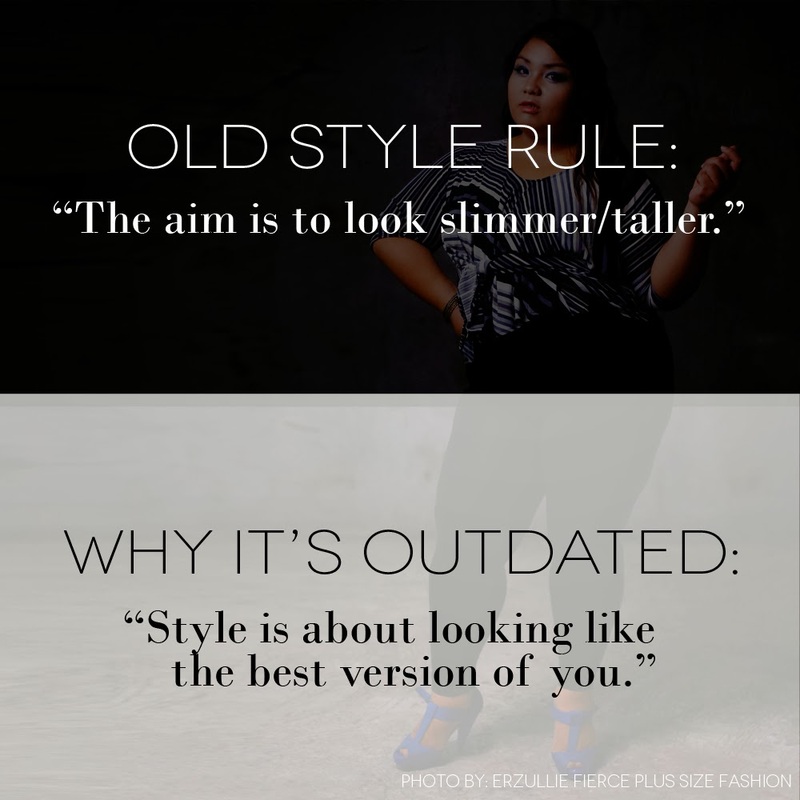 Why it's outdated: Style is about looking like the best version of you. 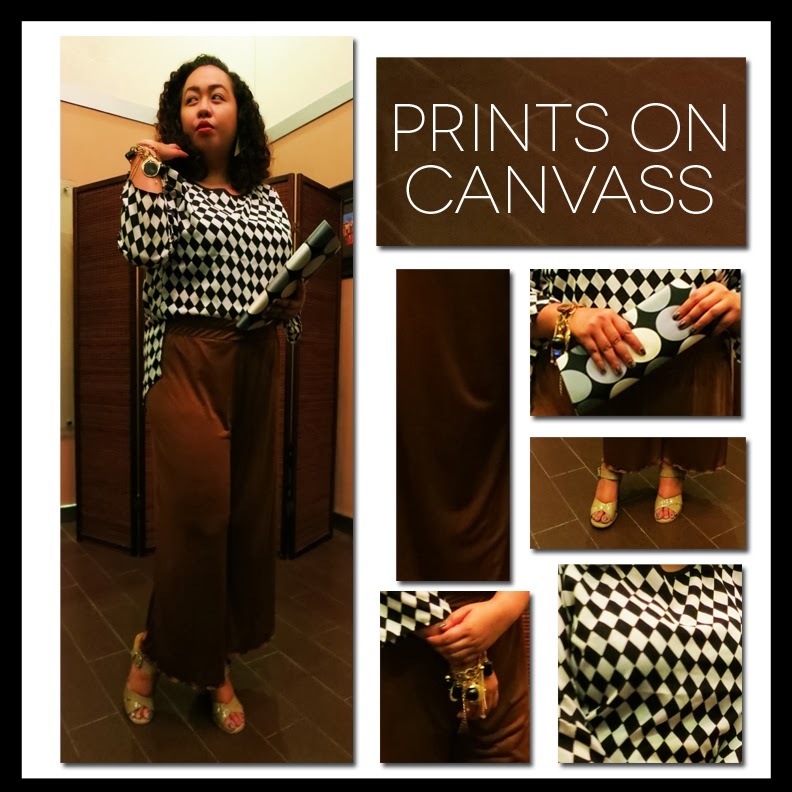 Looking like you is the new trend! The definition of beauty is vast now, ladies. In fact, you will look stylish, if you dress to look like the best version of yourself.